Three and some inch glide bait. 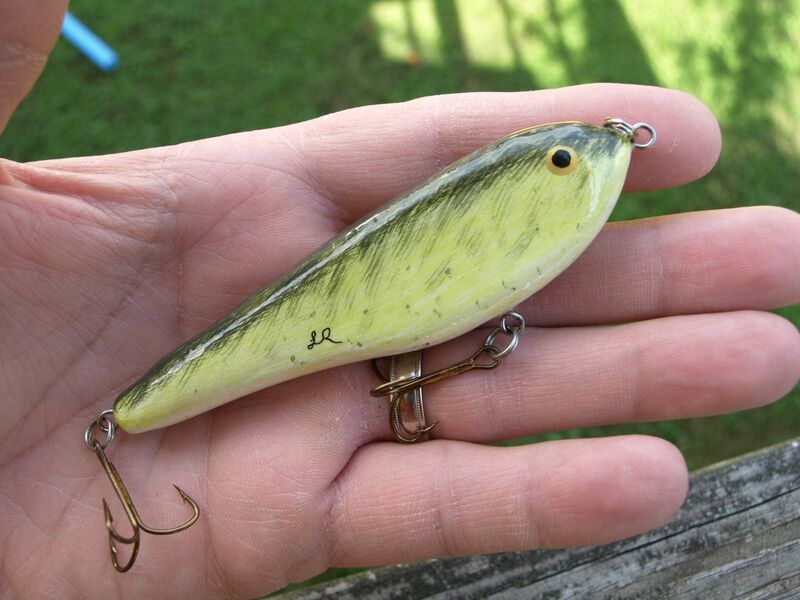 The bait is made from basswood and is painted with acrylics, then covered in tabletop. Bait has a "zoom" fluke like action. Very nice, I love your hand painted stuff. Thank you bill ! Glad you like it. This one is a dual weight model. Very hard to get the weight just right on these but once you do, it is a great swimming bait. Thank you Ben! Took several attempts but finally have a bait I like. Next to repeat in some fluke colors I like.